Kestrel Cove is a tight-knit community of hardworking and hardheaded characters who are dedicated to catching lobsters. But there is one thing that makes the fishing town unique: The residents earnestly believe that a Russian satellite cruises overhead every night to spy on them. When Jamie Kurtz, an underachieving graduate from a nearby private college, gets a job on a Kestrel Cove lobster boat, he’s closely watched and talked about, but not included. As he shares their moments of happiness and sadness, he’s gradually accepted as one of their own. In the process, he not only finds true love, but what it feels like to belong to something bigger than himself. Ultimately, he’s faced with the most difficult decision of his life —to stay or to go. Perhaps he should let the satellite decide what is best! 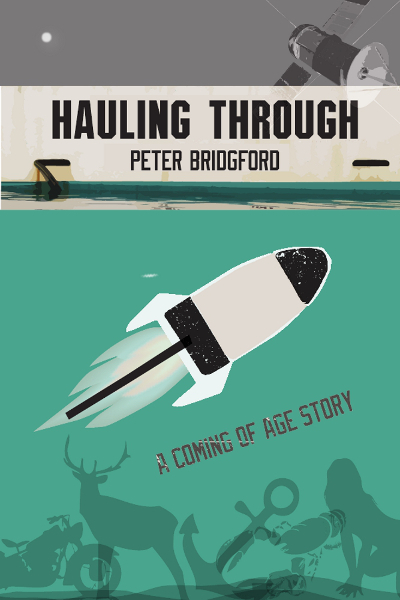 Peter “Bridge” Bridgford lives on an island off the coast of Maine with his wife, their two daughters, and a dog named Twilight.